On a 9-7-6 flop, Connor Drinan moved all in with [Jc][Tc] and was called by his opponent holding pocket aces. Connor was caught bluffing, but had a gutshot. 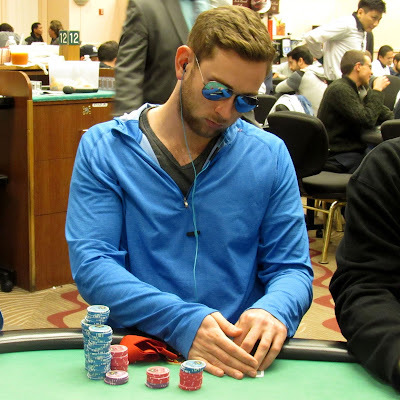 The [6c] on the turn opened up a flush draw for Connor, but a blank hit the river to send Connor to the rail. For his efforts, Connor will earn $102,760 for his 8th place finish.